Is Innovation no Longer Driving Growth? Have had some conversations with gamification vendor IBM. Good to see they have partnered with IBM Connections. Exploring how to add game dynamics and fun to user engagement. " ... For a little more than a year, IBM and Bunchball have been selling an integrated solution that encourages adoption of the enterprise social network by making the initial learning and ongoing use of the platform more fun and engaging. ... " . I look forward to see more examples from IBM. What is a rogue cloud? " ... IT managers say "rogue cloud implementations" in which business managers sign up for services without getting IT approval is among their biggest challenges. This is according to a survey on avoiding hidden cloud costs that was sponsored by Symantec with interviews and polling done by ReRez, in which some 94% of the 3,236 information-technology managers in 29 countries said their companies either already were using cloud services or discussing how to do so.... "
In E-Commerce Times. Although you can't tell it to the true fans, I am having more conversations about this recently. Not enough true innovation. Perception of real value is decreasing. Less direct conversation with its customers. A GigaOM piece just brought to my attention. The idea of using a cognitive system to solve problems was part of a direction we looked at in the late 80s during the hype for artificial intelligence and expert systems. One idea that came up often was to use expert systems to provide engagement with the shopper. A successful project that came out of this idea was the 'Tide Stain Detective', which lived through many forms, and still exists as an App: The Tide Stain Brain. IBM's intelligent agent infrastructure, Watson, has similarities, including the ability to link search, logical reasoning and a natural language interface. But takes it much more deeply in complexity than we did. It is nice to see how now, twenty years later, IBM is making these applications more practical. A more intelligent shopping assistant is a direction to examine. We look forward to future cognitive systems that cover many human interactions. Will cover more about this idea. A former colleague of mine at Procter & Gamble: José Ignacio Sordo Galarza, has started a company called CIO Eureka, which looks at enterprise CIO strategies. " ... Our ‘immediate results’ commitment brings a step change improvement in efficiency and incremental value (i.e. revenue growth, operating margin, asset efficiency and IT risk management) at exceptional rates. We go beyond the traditional consulting job and provide you with seasoned and hands-on CIO expertise. ... " See his library of insights and strategies. More to follow as this evolves. In Adage: How can Facebook work with the retailer and manufacturer in CPG? Useful numbers and thoughts. " ... CPG accounted for 12.5% of measured ad spending in 2011, as measured by Kantar Media. But while there are no publicly available data on how much CPG spends on Facebook, the industry likely punches well below its weight there. ... "
Thoughtful piece in Greenplum. Once again I like the general idea, you look for patterns in data with an analytical search , then use an analytical method to use that pattern to predict or otherwise leverage the pattern to do business better. Simulation is a common example. And test the results against similar situations. Data is more plentiful now, and many devices and systems can be used to record the kinds of data we need. But the harder part is the analytical method. And yes, that is embodied in 'data science', but the choice of analytical method, and its correct and practical use, requires experience and knowledge. The results can be very disruptive to enterprises, large and small. Want to manufacture things to digital specifications at a distance? Build components in your cellar? As long as the components can be cut, formed or extruded from a relatively small number of parts. 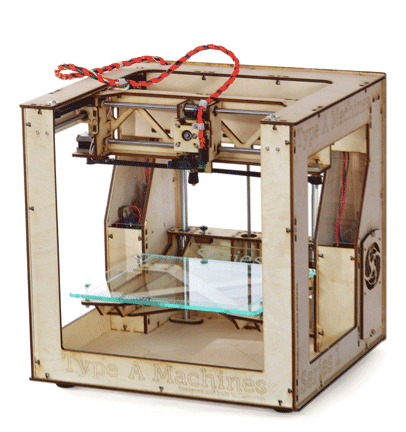 A visual display from Engadget of a group of consumer sized 3D printers now available. Give you a good view of what can, and cannot be readily done with the concept. Starbucks is thinking of using its ground-breaking mobile card for payment in CPG retail. This extent of this is unclear but interesting. " ... Starbucks takes 20% of all card payments via mobile, and the brand is exploring ways to use mobile to help sell consumer packaged goods, CEO Howard Schultz revealed in a conference call with analysts. "We strongly believe that this will provide an incentive for our customers to not only buy Starbucks coffee, but integrate them even further in the Starbucks ecosystem with the card loyalty and mobile," he said. ... "
Stephen Few: "Data Sensemaking: An Interaction of Eyes and Mind"
Jeffrey Shaffer: "Picture This: Using Data Visualization to Transform Data into Meaningful Information"
In Information Week, a very good article and statistics about the use of mobile devices to track health information, based on a recent PEW survey. " ... Seven in 10 U.S. adults track a health indicator such as weight, diet, exercise or a symptom of a chronic condition, according to the latest survey by the Pew Internet Project. But only 21% of these "trackers" use any kind of technology to do so -- 49% of trackers monitor their progress "in their heads," and 34% of them track the data on paper, using a notebook or a journal. Sixty percent of adults track their diet, exercise or weight, the survey of 3,014 people found. A third of them track other indicators such as blood pressure, blood sugar, sleep patterns or headaches. And 12% track health indicators for a loved one. ... "
A good profile of colleague Michael Cavaretta at the Ford Motor Company We met a few years ago to see how our enterprises could colllaborate. " ... Cavaretta's group functions as an internal consultancy at Ford, using technologies such as big data, machine learning, artificial intelligence, data mining, text mining and information retrieval to improve business processes across the enterprise.... "
A book review of Douglas van Praet's book. Unconscious Branding: How Neuroscience Can Empower (and Inspire) Marketing " ... In Unconscious Branding, Van Praet offers a rare combination of advertising savvy and behavioral science insights. This book is a must-read not just for neuromarketing devotees, but for any marketer wanting to understand the roots of consumer behavior and how to employ that knowledge to create better ads.... " Based on that statement, a good book to take a look at. On my list. Newly described. Have spent time looking at image search interfaces and how they can be used to both direct search and gather images for analysis. They changes are worth examining as examples in this space. In GigaOM: Beyond the hype, as it says. Category examples and a number of links to the ways that companies are using game dyamics to solve problems, enagage with employees and customers, and find more creative solutions to problems. 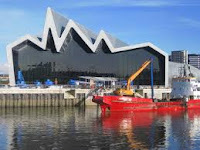 An interesting piece about how Glasgow, Scotland has won a competition to be the UK's first 'Smart City' experiment, linking widespread sensors and analytics to improve operational efficiency. Also notably mentioned, the Future Cities Demonstrator. Simulation is a useful method to demonstrate alternatives, and even, using integrated knowledge, to suggest alternatives. Make sure that the data is there to drive them. " ... to fund pilot projects in the city that show how mass deployment of sensors and real-time information can help local government run more efficiently while also boosting the quality of life for its 600,000 citizens. Glasgow won the prize n a competition among 30 British towns and cities for state help in looking at the possible contribution of smart technology... "
In Mashable: Using Facebook Graph search for recruiting. I am seeing more companies today interested in hiring, but making sure to sure they hire the right people to replace or augment current knowledge within an enterprise. General AP article that covers a number of developments in the last decade. Perhaps leading to less labor. This kind of labor singularity is still some distance away. Goods need to be created, transported and maintained. Work has and will change. That you can expect soon. In Innovation Excellence: A look at the innovation equation. Measurement is always a useful exercise, even if you don't use the measure directly. " ... What organizations need to understand is that, at the macro level, productivity – which of course is central to profitable economic growth – has always been determined by two elements. On one side, it is determined by the efficiency with which companies use their inputs – how much labor and capital it takes to produce their goods and services. On the other side, productivity is determined by the value that customers place on the outputs.... "
I was pointed to some interesting pieces in this blog about measuring and improving your personal brand: . " ... Leaders need to have a big, bold vision that others can rally around, writes Karen Kang. That's the best way to burnish your personal brand and to get the most out of your workers, Kang writes. "The measure of your success is not just what others are saying about you, but in the impact you are making on the world," she writes ... "
AdAge article on how increasing P&G performance is leading to increasing its marketing spending. P&G already planned to step up marketing and innovation in the January to June period, (CFO Jon ...) Moeller said, adding those plans "will be strengthened based on over-delivery in the second quarter." In Wired: An article about how DARPA is planning to scan the brains of dogs to make better choices of military pairings. An interesting idea that could look at things like task optimization for applications. The research might also ultimately also lead to new learning for human neuroscience as it can be practically applied. Forbes piece on what they call a Big Data Skills Shortage. Here I believe that followup training to a typical Computer Science or Information Management degree is sufficient. With particular attention paid to how the data will ultimately be used. This points to analytics and data visualization skills and experience. Lily Glick was the lead on the POPAI Shopper Engagement Study and we throughly enjoyed working with her on this project. She has put together an informative white paper and thought you would find it of interest. We are seeing significant growth in consumer neuroscience studies for the retail environment and would love to work with you on any projects. (We like the term consumer neuroscience better than "neuromarketing"). She has a link on her website if you want to share with your readers: Paper Here. Another look at where we work and why. Technology has opened lots of new possibilities, but also new overhead to making the process work. I was at a meeting yesterday that discussed how enterprises make it work. In an era of new and complex data. With new devices and media emerging every year. It's costly and complex, but there are lots of other ways to address the problem for the medium size and small business. In Fast Company: Did lots of work dealing with how a virtual presence could be be as real as possible. So these findings are useful. Was introduced to and further investigating Verix: " ... Beyond Traditional BI ... By fully automating the search and analysis of business data, you skip the tedious task of scavenging a multitude of reports, Verix takes you directly to what’s important – conclusions and actions. Our HotSpots™ alerts pinpoint pertinent data to provide you with what, where, and even why essential changes took place in the market and your business. We constantly keep pace with the changing operational needs of our growing number of delighted Fortune 100 customers, taking Business Intelligence to the next level.... "
From today's Data Visualization Day at UC. A talk by Jeffrey A Shaffer, VP of Information Technology and Analytics at Unifund. He is also an adjunct professor at the University of Cincinnati. Gave an excellent talk about his views of data visualization in the real world. He writes for Making Data Meaningful blog, which I am now following. Innovation Excellence writes about the acquisition of Zipcar by Avis. Zipcar is the urban car sharing service, which we looked at as an example of the innovation process. Saul Kaplan writes to Avis: " ... If you want to win big with the Zipcar acquisition you will have to try harder. Resist the temptation to impose your core car rental business model on the upstart transformer. Zipcar is your sandbox to scale a car-sharing model with potential to disrupt the automotive and car rental industry. Stop with the number two shtick, Zipcar can help Avis become a market maker instead of a share taker..... "
In Adage: Coke creates a social media game based on a Superbowl ad. How well will it work for ongoing engagement beyond the event? Would it have been better to create something that is football related? Will it depend on the progress of the football game? An ad is a short 'bite'of interaction that can be forgotten, an ongoing game requires fun engagement with some effort. Will this idea perform? " ... On Facebook today, the beverage giant unveiled a teaser video for a spot it calls "Mirage," a 60-second ad showing that depicts three factions --badlanders, cowboys and showgirls -- racing through the desert in pursuit of a bottle of Coke. The ad, created by Wieden & Kennedy, closes with a cliffhanger, as the groups realize the bottle was simply a sign. Another sign points them "50 miles ahead." In a twist reminiscent of the "Choose Your Own Adventure" series, consumers will sabotage competitors and choose who wins the Coke, ultimately choosing the 30-second spot that will air post game. ... "
A free eleven week MOOC course on a introduction to the concepts of complexity by the Santa Fe Institute. To start February 4. An example of Massive open online courses. I have been connected to Massive Open Online Courses (MOOC) for some time now. The link gives an overview of what they do and cover today. The topic reminds me of 'Big Data', in that it is not all about the courses just being big and open, but also about the social and value interactions that occur as a result. Exploring further. I am now following up with the Santa Fe Institute on supported topics in the complexity domain. And an update: GigaOM writes about the formation of a 'bill of rights' to protect students of MOOC. Still looking at the opportunities to connect sensors to gather to improve analytical decision making. Here some more learnings out of CES on the topic of using well established systems, like the Microsoft Kinect sensor, for this purpose. David Hecht via Teradata's Gib Bassett. On a school of management based on emailed dashboards. Lately there has been This article suggests a simple method of getting data important that is to you. And while dashboards have become passe of late, this is a good example of simple is better. Sure you might commission a highly interactive visual data system like Procter & Gamble's Business sphere, that approach will not be cheap. Start with the important things periodically dropped in your inbox. Metaio reports on Kimberly Clark's Pull-ups potty training via an Augmented reality App. To Celebrate the First Flush. Clever idea here. Descriptive Video.
" ... The Kimberly-Clark Corporation has released an interactive Augmented Reality and 3-D mobile app that focuses on making the potty training process more enjoyable for parents and their children. Designed to be a reward for diligent children, the app contains a variety of 3-D augmented experiences that parents can launch for each successful “flush”. More flushes unlock more content, including interactive games featuring beloved Disney characters like Mickey Mouse and Rapunzel. Metaio worked with Kimberly-Clark and Organic Inc. to bring this great project to the consumers and parents ... "
From Malcolm Chisholm: Rethinking the Dimensions of Data Quality. An important issue. Consider that data supports analytics, and analytics drives decision making, the loss of quality components can create bad decisions. How this influence propagates influences both closed and open loop decisions. As Chisholm writes: " ... a column asking if the dimensions of data quality, such as accuracy, consistency and timeliness, are real. I pointed out that there are no generally accepted definitions for the dimensions, no generally accepted exhaustive list of them and no generally accepted methodologies for measuring each one. ... "
In Information Week: A video about a visit to the Internet of Things Consortium at CES. The trend that continues to develop. With many concerns and increasing analytical opportunities. In Mediapost: A good example of a non conscious detection of brand engagement i.e. 'neuromarketing' capability. Here using the analysis of faces during stimulus exposure as opposed to in-brain signals. Here taken up by some big and savvy clients in CPG. I have written here about Affectiva here before. We tested the idea while it was still being developed at MIT. " ... Affectiva was one of "The 5 Most Disruptive Technologies" at the 2013 Consumer Electronic Show.... " .... This should be watched.
" ... Almost a year ago, WPP’s commercial testing company Millward Brown added facial recognition and analysis technology to its offering to better assess the emotional impact of ads. It did so through a partnership with Affectiva, a firm that developed a facial coding technique called Affdex. Now, after a series of trials, major global clients are signing on to the new testing application. Calling it the largest-scale adaptation of facial coding technology in the industry, Millward said two of its largest clients -- Unilever and The Coca-Cola Co. -- will use the technique for all of their advertising testing in 2013.... "
A broad overview of rising adoption of iPad's in the enterprise. Interesting stats. I do not like the use of the slide show format for this kind of information. Please condense it for me so I can assimilate it quickly. I know it gives you the ability to expose me to more advertising, but I am also X% less likely to read it at all as a result. In Hoover. I have seen a great deal of junk and arbitrary thoughts patented. With the hope of bullying money from companies. There is much need for reform. Some useful thoughts here. Recently connected with Diana Lucaci of True Impact Marketing in Toronto. A Canadian firm that does neuromarketing studies. I was impressed with their list of clients and analytical perception of the problem. See also, their blog for examples.
" ... Our company is a leading Neuromarketing firm in Canada, with two main businesses segments: Strategy and Research. Neuromarketing Strategy involves alignment with your marketing and corporate objectives, identifying the gap in customer understanding, and delivering actionable insights of customer emotional engagement. Neuromarketing Research is conducted with a specific, target audience and studies communications that appeal to any of the 5 senses: sight, sound, smell, taste, touch. Research grade equipment and protocols are used to ensure the highest level of ethical standards. Our technologies of choice include functional Magnetic Resonance Imaging (fMRI), Electroencephalogram (EEG) and Eye-Tracking.... "
I had cause to look at the Information Literacy Blog yesterday. Articles covering information collaboration, which you can see have been of interest to me lately. Worth adding to your feed. I have always thought that concerns about adapting to epochal population groups are overplayed. My own experience has been that it is true that there are differences, that they are real, but the variability within the group is also large. And these groups realize that there are tasks and realities of business, organization and communication that need to be covered. We still need critical analytical and innovation skills. Regardless of the technology at play. So it was good to see this piece.
" ... The City of Cologne, Germany, and IBM (NYSE: IBM) today announced the completion of a smarter traffic pilot to predict and manage traffic flow and road congestion in the city. The pilot demonstrates how the city of Cologne can anticipate, better manage, and in many cases, avoid traffic jams and trouble spots across the city using analytics technology. The city's traffic engineers and IBM were able to predict traffic volume and flow with over 90 percent accuracy up to 30 minutes in advance. As a result, travelers would be able to better plan ahead and determine whether they should leave at a different time, plan an alternate route or use a different mode of transportation. ... "
In GigaOM, from CES, A video about the Node modular sensor. Integrating sensors into the net and analytic processes is an important next step to the 'thinking' web. Basic cost of the Bluetooth system is $150, with cheaper additional devices: " ... It’s a color sensor, a weather station, a gas leak detector, a thermometer for everything around you, and so much more: Check out Node, the ultimate sensor device. ... "
Of course, this does come down to what you can readily and cheaply 'sense' in context. Also, their positioning this as a device for gadgeteers does not help with corporate clients. More seriousness with representative use cases, please. Good thought here. Developed broadly in Chief Learning Officer mag: " ... Curiosity may be the most helpful competency in business today. Start with genuine inquisitiveness, a bias toward asking and learning, and an authentic interest in others and what they might have to share and there’s no limit to a leader’s potential. ... "
I cut my teeth in technology and business research in the enormous enterprise. That is a place where you have lots of flexibility that lets you bring in new methods, and test and deliver them easily. A large company can quickly staff up to solve the problem. Even create a group tailored to a single topic when it becomes crucial. How is the small or even medium sized business to deal with product or context research? A process that can include outside researchers. Knowing how a competitor is addressing a problem, or how intellectual property rights might influence next steps, could mean the very survival of a small company. So what are your options? Many small businesses like start ups just trade emails. Or use a package that facilitates other kinds of communications that is not well suited to research purposes. You have to train your outside the company users. And those users do not appreciate having to learn yet one more package. I am examining exactly this problem for several businesses at this time. One approach which we were led to is that of Zakta. An approach where you use a template for a process that everyone uses these days. Search. Yes, everyone does it, knows how to do it, talks about it and applies search. They just don't know how to use it efficiently with multiple people while also saving the results as corporate knowledge. I am now just talking a deeper dive into this technology. More about that here. I will continue to write about the experience, and particularly about how it can relate to the use of the small and medium size company. I would also appreciate information on any other relevant experiences. Rafal Ohme, a former colleague in neuromarketing applications, has started a London based consultancy. There will be more here as I get to talk to them. FromMrWeb: " ... The new company promises to draw on advances in neuroscience to help brands understand the emotional and subconscious aspects of consumer decision-making, and formulate strategies in areas such as communications and product testing, in-store and shopper marketing, and identity development. Additionally, the company offers tailored workshops to provide a better understanding of how to utilise neuroscience techniques alongside existing methodologies and business processes. ... "
Ads and emotion. A popular thought in the media these days. Technology companies are thinking about it as well: " ... In an application filed in December 2010 but just made public last week, Microsoft sought to patent an advertising engine that gauges people's emotional states based on their search queries, emails, instant messages and use of online games, as well as facial expressions, speech patterns and body movements. The ad engine is device-agnostic; as Microsoft noted in its application, "client devices" could include personal digital assistants, smart phones, laptops, PCs and gaming devices... " We discussed these methods with a number of large technology companies that worked with consumer data a decade plus ago. Can the future be predicted by tracking Twitter? A government project that addresses this. In a recent post I mentioned work that I have been tracking track and utilizing to help analysts think about future events. But not really predicting the future, just understanding multiple scenarios and how the people who would influence these events are thinking. But could this be done more quantitatively, like in the narrow domain of a product demand forecast? I don't think so, not without doing good qualitative contextual ground work first. Much more here on this topic, and the use of Recorded Future.
" ... Zakta: Semantic technology is particularly useful in the kind of detailed research activities where you need to trawl through all available information and assemble a virtual research resource that excludes the irrelevant and identifies what’s important. This can, in our opinion, only be achieved by semantic search, which is part of what Zakta provides. Google is, by comparison, a very blunt instrument. Zakta offers series of tools and capabilities: Zresearch, Zmagnify, Zlearn and Zguides. ... "
Announced in the local press. Tide Pods to go global. I mention this because I was involved in early research in this area of discontinuous innovation, which used a model of enterprise knowledge and how it could be used to map and understand where new global demand existed. A good step forward, but it has taken too much time. You would expect these technologies to speed the process. We tried for many years to get this insight to the right levels. I recently mentioned our own enterprise experimentation with wearable computing for maintenance tasks. Consumer oriented wearables are gaining excitement from the emergence of Google Glass. I see now that Recorded Future has done one of their excellent future looking visual analyses of the whole concept of wearable systems. See it here. At the link, float your cursor over the visual for more connectivity information and to get more looks at the future. It reminds me of some of the exploration work we did at the time with academic and commercial approaches. We could have used this form of future analysis and visual display back in 2000 when we originally examined wearable. Again, I recommend taking a look at Recorded Future for any kind of future looking technology analyses. Great way to organize and communicate analyses of this type. Another analysis example: About Social Search. Thinking more about retail bookstores. An article in the HBR online about keeping agility as part of your process. It may cost to do that, but in a volatile world that may well be influenced by changing technology, it will be essential. Keep options in your Cloud. A former colleague of mine Scott Frondorf pointed me to his new company: OpenField Creative. We worked together on gamification concepts. They have a great set of dynamic examples of work for major clients at their site, check it out. They write: " .... We design our clients stories through a combination design strategy and technological expertise through five core capability groups: Web Design and Development, Brand Identity, Digital Market and Social Media, Motion and Video Design, Coordinated Collateral Systems ... "
After a disappointing holiday season, Barnes & Noble leadership must decide how to retool its strategy to compete with online behemoth Amazon.com. The bookseller has tried to forge a strong digital arm through its Nook e-readers, but Wharton experts say the chain is caught between the need to bolster its in-store experience, and the drive to keep up in an ever-growing tablet market as readers increasingly turn away from printed books. ... "
I have been involved on the edges of book retailing for some time. The quick crash of the large sellers seems to being going even faster in the negative direction with the emergence of the common reading tablet. There will be niches of local retail selling, but the large distributors of new books are hurting. Wharton looks at some of their approaches, like improving in-store experience. Is there a good strategy? My wife Joy runs a store through Amazon. I have become amazed by the variety of goods sold there. Here are Amazon mark downs in industrial and scientific goods. In my younger days I used to get many catalogs, like that of Edmund Scientific, to supply my experiments. I would have hungered for such a system like Amazon's. A long time interest. How can biological systems be connected to digital ones? Especially for sensor applications. But also for control. IEEE has followed this in some detail. " ... Researchers at those institutions have built tiny electronic meshes out of silicon nanowires and have used them as scaffolds to grow nerve, heart, and muscle tissue. The most immediate application of the work, described yesterday in the online edition of the journal Nature Materials, may be a new type of sensor system for in vitro testing of new drugs. But further down the road the research may lead to artificial eyes, implantable chips to control prosthetic limbs, and other devices that can communicate between electronics and living cells, says Charles Lieber, the professor of chemistry and engineering at Harvard who initiated and led the research. ... "
eCairn points to a video of the structure of the social web, and the value of using that infrastructure. Instructive. We visited the Santa Fe Institute around 2000, well before artificial social networks existed, to look at how these networks could be used to influence consumers and to better understand how innovation spread through an enterprise. Much more has been done since with the former than the latter. The long anticipated Google Glass head mounted displays are finally on the horizon with events being held for developers. Looking at this for a client. In Fast Company. A talk with futurist Ray Kurzweil, now with Google, on a favorite topic. I emphasize the task of 'teaching', rather than just programming. And understanding the ability to then reason in a useful hierarchical way. Teaching is the ultimate ability to drive any AI. A map to describe mapping methods. A frequently used approach in our enterprise, I still use the idea often in consulting, now nicely facilitated by portable tablets. Let the description begin, always a great place to start. Gartner makes some comments on this and it is covered in Computerworld. Not unexpected. My own observation over the holidays in the home , and waiting in airports shows that the tablets have become near ubiquitous and are being adapted well for 'business' use. I saw a couple of examples of bluetooth keyboard used in waiting areas. Working groups in coffee shops brought out the laptops. McDonald's are remodeling with individual seat power plugs. Wifi still needs to be more pervasive. In CIO Dashboard: A term I had not specifically heard of. Though the world of Bring your own device (BYOD) has been in action for some time. A survey of CIOs says that some 30% of IT used in business is procured outside of the company. It cannot be prevented today, but how can the shadow be brightened to decrease the risks? The scenario is common, I saw it often in the enterprise: " ... Those seeking speed sometimes acquire technology outside traditional IT standards and procurement processes. Then, they realize they need the CIO to populate their new platform with corporate data to power their project. In a rush to innovate, they can overlook the importance of integrating corporate systems and data to fully exploit the unsanctioned technology, reducing risk and lowering TCO. Missing the integration requirements can result in unforeseen slow downs, reducing the speed advantages that were the goal in the first place. Meanwhile, CIOs get an unwelcome surprise that racks up unforeseen risks and costs.... "
In ReadwriteWeb: More detail on Phil Parker's econometric book generation algorithms. That are said to be generating millons of books that are sold on Amazon. This reminds me of a methodology called 'content analysis', which was used starting in the 60s to generate analyses of verbatim descriptions. Then produce scores and then use the scores to create interaction. Based on the article, this kind of knowledge =book generation works best in highly specialized, narrow domains of knowledge, where the components of the knowledge already exists. A little like taking a list of URLs that you might use as an introduction to a topic, then converting that to more sculptured prose. Brought to my attention from Expectlabs.com. Their system called MindMeld, initially designed to be delivered to the iPad, that will monitor conversations and construct tasks based its understanding of the interaction. An 'always-on Siri?...' As stated a very powerful idea, say for corporate knowledge capture. But will this have the shakiness and reliability of Siri? Apparently not quite yet available for test. Be glad to test in real applications in Alpha.
" ... Our first release of MindMeld, available in the fall of 2012, supports high-quality, group voice calling on the iPad. Later this year, MindMeld will support high-quality, group video calling as well. In the near future, we expect to release versions of MindMeld for additional devices and platforms including Android. MindMeld is powered by a unique technology platform that merges high-quality, real-time communication with state-of-the-art language analysis and information retrieval. We believe that this technology platform can serve as a useful foundation upon which to build a wide range of intelligent applications centered around real-time conversations. With this purpose in mind, we expect to open this platform to the developer community in the coming months.... "
What scientific issues should be we worried about? The Edge asked for contributions and received these suggestions, from well known scientists in many fields. In Mashable: Campbell Soup offers prize to develop meal planning App. I like the idea of delivering suggestions based one taste, meal history, budget, time available, pantry, etc. With minimal loading of data. An integration with a market loyalty system? Helping midsize businesses work in the cloud. An article brought to my attention from Information Management. " ... IBM unveiled social business software designed to help enterprises collaborate easily and securely in the cloud using a range of mobile devices. The new IBM SmartCloud services include social networking features and the release of IBM SmartCloud Docs, a cloud-based office productivity suite that allows users to simultaneously collaborate on word processing, spreadsheet and presentation documents to improve productivity.... "
I have worked with and for small and medium sized businesses for years now. Collaboration with partners and linking to data sources is a key way to make things work efficiently. In the big enterprise you usually have rich IT resources to make sure this can be done well and securely. In the smaller business you often 'discover' the need when you enter a key project. It can be too late to do that effectively. For example recently I needed to be updated in changes that were made to a rule-based AI project. We were concerned that unintended consequences to rule changes could produce errors in recommendations. We set up a cloud based method that would alert all the testers of a rule base, and alert them to how a test base of data could be effected. Each test user could then sign off on a particular test, also via the cloud. This led to a better regimen of tests and results. A carefully organized social network can then be used to alert everyone to the results. Reading with pleasure Stephen Few's book "Show Me the Numbers: Designing Tables and Graphs to Enlighten", Second Edition. It was good to see that Stephen Few will be speaking at the University of Cincinnati on Thursday January 24, 2013. I will attend and report here on the meeting. Join me. World renowned author Stephen Few will be the keynote speaker. We will also hear from Andy Walter, VP of Business Intelligence at Procter and Gamble and Jeff Shaffer, VP, Analytics and IT, at Unifund. In the afternoon, we have limited seating for hands-on training with data visualization software including JMP, Spotfire, and Tableau. You may register and get more information by clicking here. In Wired: We are looking forward to leveraging the data generated by the internet of things. New trasparency in supply chain analysis, social behavior and transactional interaction. But what are the security implications for everything being tagged and communicating? Good Wired piece. Attending this on Wednesday at 9 AM in Cincinnati. More information. Lets meet there. " ... Are you interested in gaining insight into your business faster than ever before? Learn how AdvizeX, HP-Vertica and Cloudera are addressing the challenges and opportunities associated with Big Data Analytics. This exclusive event will bring together industry experts to discuss best practices for innovating and monetizing Big Data Analytics. Please join us for breakfast on Wednesday, January 16th at Paul Brown Stadium to learn how you can apply these concepts to your organization.... "
Gib Bassett provides a note by Mark Zielinski on the value of big data social data. " ... Since late 2011, the market research industry and market research technology in general has been very focused on the coming rise of “big data”, and what that can mean for professionals in market research. There has been all sorts of speculation about how the analysis of organic data and passive data “floating around” out there, such as Twitter, LinkedIn, Pinterest, and Facebook traffic could change the way we work very soon. Companies looking to stay competitive can’t keep doing the same tired old things – they need to keep their ear to the trends, be resourceful, and come up with creative ideas. ... "
At CES, Samsung once again pushes the smart refrigerator, " ... Technology has helped solve many problems for us. We make phone calls and read emails from wherever we are (most of the time) using cellphones, and record our favorite TV shows and movies to watch later. But it hasn't helped solve the age-old dilemma of figuring out what’s for dinner — until now. Samsung showed off a smart refrigerator at the 2013 International CES that can offer recipe suggestions based on what you have in your fridge at the time.... "
In the NYT: Smartphones as life's remote controls. Sufficient and increasingly necessary to make efficient decisions. And are becoming able to control our world. An overview of this claim. An example of using Pinterest to place pictures of wanted criminals and provide other policing information. Apparently this has been useful. Have looked at related examples of using the Internet for lost children and liability issues, for example see here: Videolocators: Helping People Find People. Which also attempts to crowd source people location. A roundup by Engadget from CES about how technology would be embedded in the future. Samsung says screens in household appliances. Like the refrigerator. I saw predictions of this as early as 2000 in our innovation centers. Where I preached it as the future. Now I have finally become tired of this prediction. Here is their view, but I think it is more likely we will be carrying our displays around, or wearing it on our heads. Interesting question from CES. Reach and scale versus engagement on banner ads versus native ads. Panelists respond to the question. In the Economist: A pessimistic view that is challenged. With some useful statistics along the way. " ... Has the world run out of ideas? ... Some economists argue the colossal gains of the past two centuries were driven by a single burst of technological advances -- and that the momentum of that surge is now fading, leaving the planet in the grips of a "great stagnation." That's probably too pessimistic, argues The Economist, although it's true many advanced economies are too set in their ways to adapt to truly revolutionary innovations.... "
A popular legal blog takes a look at the 'Charmin Corporate Site', and makes comments about the symbolism between basic Charmin functionality and currency. Is this a positive meme for a CPG product? I say yes. Moore's law and Artificial Intelligence. What does it mean to be 'smart' for machines? A new book: Singularity Rising. describes the problem. What will the singularity, in whatever form it may take, mean to human beings to human civilization? And an interview with author James D Miller. An overview of what Walgreen is doing and experimenting with. I have followed them for some time and their implementation is very good. Includes mention of Foursquare and inventory assessment Apps. " ... Rich Lesperance leads the Digital Marketing and Emerging Media group at retailer Walgreens. He spoke with eMarketer’s Tobi Elkin about millennials’ dynamic shopping habits and how Walgreens is accommodating them.... "
A good piece in Fast Company about how innovation can go wrong based on the infrastructure and culture that it exists in. We used this example of classification and the resulting silos many times when we spoke about the silos that exist to capture both what could easily create innovation, and how that results might be included in a company's knowledge management systems. Break through your classification systems. Recently met with Shane Skillen of Toronto based Hotspex. Here a videolink to some of their work in 2012. I see that Sands Research has a number of neuromarketing based activities and information pointers for the upcoming NRF meeting on January 13- 15 NYC. More about that in their newsletter. Always chock full of information. 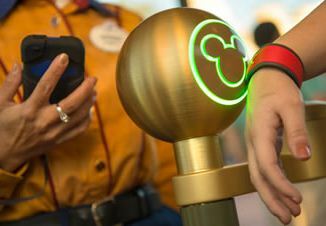 Disney is planning to use opt-in RFID wristbands to replace ticketing and other behavioral tracking interactions in its parks. Reported on here in Computerworld. With the usual concerns about tracking. This will help Disney understand the park behavior of its customers, and lead to better park and amenity design. We had a number of conversations with them on RF tags. Surprised this has not happened sooner. " ... The Disney Parks blog announced that Walt Disney Parks and Resorts will “push the boundaries of creativity and innovation” and are “taking the Disney guest experience to the next level,” but your personal opinion will decide if that is a whole new level of cool or creepy. Disney’s billion dollar NextGen project includes radio frequency identification (RFID) wristbands dubbed “MagicBands” that will interact with sensors throughout the Disney parks and resorts. Tap your MagicBand on the RFID reader and it will replace paper tickets; act as a credit card to buy food and souvenirs, function as a hotel room key, a FastPass and much more. ... "
and more in this blog. Excellent report from McKinsey on the future of manufacturing. While many think of manufacturing as an old line industry, it is still a key method to get things made and delivered while still a massive contribution to global economies. What is the future of this world? " ... The global manufacturing sector has undergone a tumultuous decade: large developing economies leaped into the first tier of manufacturing nations, a severe recession choked off demand, and manufacturing employment fell at an accelerated rate in advanced economies. Still, manufacturing remains critically important to both the developing and the advanced world. In the former, it continues to provide a pathway from subsistence agriculture to rising incomes and living standards. In the latter, it remains a vital source of innovation and competitiveness, making outsized contributions to research and development, exports, and productivity growth ... "
Some car apps will mirror mobile ones, while others will add new functionality, the auto giants say. ... Independent developers could find innovative new ways to use the computers in cars—but safety and security challenges remain. Ford and GM both used the Consumer Electronics Show in Las Vegas this week to announce that they want software developers to create apps for their cars, and that they will open up their vehicles’ computer systems just as smartphone makers do with their devices .... "
We are seeing the rebirth of the PC, says Intel CTO Justin Rattner at the CES meeting. I agree, these are heady times, it more than just about functional computing, Its about having functional gadgets that we carry with us and are embedded in everything we use or have. Towards a melding of mind, tools and products. Get ready. Brought to my attention via CES: Dropcam. A way to quickly and inexpensively drop a camera into a Wifi network. And export the video to the cloud for recording, analysis. Examining potential for compliance applications that require video. Cost makes the solution near-disposable. Examining alternatives as well. Report on the crossover treatment between consumer and enterprise information technology, as presented in the CES conference. IT will have to worry about the increasingly sophisticated use of devices and data in the consumer space. Phones, tablets, laptops and the availability of big and leverage-able public data. " ... With increasing crossover between business and consumer tech, CIOs should keep an eye on the new gadgets coming out at the 2013 International CES, the annual consumer electronics gala that kicks off Tuesday in Las Vegas. But a trio of independent analysts don’t expect consumer device and application vendors to bend over backward for enterprise IT and CIOs. ... "
An SAP press release that presents their current offerings and work in the space. " ... today announced that it has been ranked by Forrester Research Inc. as a leader in its report, "The Forrester Wave™: Big Data Predictive Analytics Solutions, Q1 2013." In the evaluation, SAP was named a leader for its strong architecture and strategy, and cited as differentiating itself from competitors by putting its SAP HANA® platform at the center of its offering. ... "
From Technology Review: Some thoughts about the internet of things. Everything tagged and tracked. Is that day finally here? As mentioned previously the US Library of Congress is starting to save tweets. Now over 500 million a day are being archived. Researchers are already asking for access. Might they also be available to citizens in general? Another source of democratized big data for the average person? Some time ago I mentioned Allostatix, a company that has developed a means to construct an overall health measure, based on what is called the allostatic load, which can then predict health risk. They have been developing a partnership with OSU called P44U and have put out an introductory video that does a good job of describing how this works and where they are going. See it here. More to follow. Previous writings on Allostatix. In TheVerge: Target says they will start price-matching Amazon year round. As an attempt in part to defer losses to to show rooming activities of mobile enabled consumers. It has been a while since I have written about Cisco, despite working with them for years in the enterprise. We actively used video in our innovation centers, and managing the wealth and quantity and interpretation of video was often problematic. They are now working on Video Scape Unity to manage a future where video is everywhere. Consider video as another form of sensory input to understand behavior. I have been to several Consumer Electronic Shows (CES). But it has been years and I have found it just as easy to stay in touch virtually. For example, with this live blog. It helps to understand the direction of technology and innovation as indicated by those that invest in their presence at CES 2013. A review of articles in 2012 on health gamification. An obvious area of application of enhanced engagement via game dynamics. And with our personal mobile devices, always there at the ready. But how well does it work? Author of Leaders Make the Future, Second Edition Ten New Leadership Skills for an Uncertain World. At Procter & Gamble we worked with Institute for the Future starting shortly after its founding. They often came in to give talks to our executives, and we used their training and brainstorming methods to understand new ideas. They were also instrumental in introducing to key Silicon Valley companies and entrepreneurs. Bob Johansen was their CEO during many of the years we used them. A great experience. I just reconnected with him, and I note the second edition of his book.. More information and pointers to it above. I will follow with more on his book. In GigaOM: Another overstatement, but a useful one to think about. Analytics, necessarily based upon data, is the essence of driving value from information, and as analytics is a key part of data science, it does make broad sense. Its all about data and what you do with it. Yet further, it is about how how humans are folded into this process. In Adage: Interesting approach from Kimberly-Clark that competes with work by my former enterprise, P&G. The positioning seems to be delivering expertise vs the addition of a social element. Any reaction to how well the two approaches compare?
' .... GenerationKnow.com, a restage of the UbyKotex.com website, last week began offering bracelets to girls and women who sign up for the site. In moderated forums, they can ask or answer questions about vaginal health and periods. Answers come from moms and health experts in addition to peers. ... The web effort in some ways resembles the more than decade-old BeingGirl.com backing Procter & Gamble Co.'s category-leading Always and Tampax brands. But Jay Gottleib, VP-adult and feminine care at K-C, said: "We're not trying to be the tell-all expert, but to create that platform where you can find information and empower you as a woman or young girl entering the category to have a conversation. ... "
An MSN Canada video on the use of neuromarketing. Nothing very new here, but I like that they show an application of eye-tracking, neuroactivity analysis and emotion integration in a specific live retail application. This gives a good idea of then potential integration of multiple methods. I do not know the specific Canadian vendors involved. Gamification as Goal Concept Waning? I was involved in a number of applications in the enterprise that would today be called gamification. Involving people to engage with systems and data to compete for better value. Using the concepts used in online games. Since then I have given several talks on the subject, advised people on its use, even interpreted specific marketing examples and written about that here. I detect somewhat of a decrease in its use in the hype cycle of technology. That is not uncommon. Should we go into a project with the major goal being to gamify an interaction? Or should it be considered one technical tool that can be added to the mix as needed? Too much of the former has occurred. More here. In an E-Commerce Times article. " ... Using gamification to enhance the user experience must take different user motivations into account. For example, if the goal is to drive user to donate to a cause, a reward system should engage them to return more frequently and feel emotionally connected with the process. A ranking system might be implemented to encourage friendly competition between users.... "
The OBAIS department invites you to attend the following four seminars in January, all of which will be in Lin 217 from 1:30 - 2:30 PM on either Wednesday or Friday. Talk title, abstract, and speaker bio. is available .... FYI, these seminar announcements will not be posted on the OBAIS seminar website. Further information (e.g., papers) may be obtained by contacting Professor Yan Yu (yuyu@ucmail.uc.edu). Feel free to email this invitation to other interested people. Thanks. Leading for the long term at Amazon. An HBR interview with Amazon CEO Jeff Bezos. We talked to Jaron Lanier a number of times as we looked at how to visualize and virtualize corporate process. I have followed his work for years. Most interesting of late his critical views of the Internet. More in The Smthsonian, " .. And so it is with Jaron Lanier and the ideology he helped create, Web 2.0 futurism, digital utopianism, which he now calls “digital Maoism,” indicting “internet intellectuals,” accusing giants like Facebook and Google of being “spy agencies.” Lanier was one of the creators of our current digital reality and now he wants to subvert the “hive mind,” as the web world’s been called, before it engulfs us all, destroys political discourse, economic stability, the dignity of personhood and leads to “social catastrophe.”. .. "
In Technology Review: I have mentioned a number of times in this space that our enterprise experimented with this idea long before it was technically feasible. Here now evolving wearable displays from Google. This matched well with our idea of getting the right data to the right people at the right time... Now I see from another source that a former colleague of mine is also involved with this project. It also allies with another project we have been working on for a long time. See Business Sphere. Are data scientist the model for future CEOs? Data science certainly needs the ability to search for new sources of income and efficiently delivering it. New data and contexts have to be continually reviewed. But that does not make a Data scientist a CEO. The word scientist itself, suggesting a need for raw discovery, sometimes clashes with pure management roles. A scientist is often a specialist, a CEO a generalist manager who inspires and needs to bring many people and skills together. Sometimes, but often not the same thing. Something I have tried for to do this for years. Its especially tough when you deal with a number of disparate client systems. Have been unable to completely tame it for efficiency and time value. But here are some thoughts from Fast Company you can start with. Vint Cerf, Internet Pioneer, marks the emergence of the modern day Internet, only thirty years ago today. I was a user of its predecssor before that. We had no idea where all of this would go. In the Google Blog.